Drug-busting has had a particularly fruity theme in Texas lately, where U.S. Customs and Border Protection officials have recently uncovered large loads of marijuana disguised as innocent produce. The agency announced today that CBP agents found 3,947 pounds of alleged marijuana within a commercial shipment of key limes during an inspection of a trailer on the Pharr International Bridge connecting Pharr, TX, and the Mexican town of Reynos on Jan. 30. CBP officers used a “non-intrusive imaging system” to inspect the truck, as well as the help of a canine team, and ultimately located 34,764 packages containing a total of 3,947.37 pounds of alleged marijuana commingled within the shipment of key limes. CBP seized the drugs, valued at approximately $789,467. Just two weeks earlier on Jan. 17, CBP busted another marijuana shipment, uncovering 390 packages containing a total of 3,000 pounds of pot concealed within a shipment of watermelons on that same bridge. The confiscated drugs were valued at approximately $600,092. Both cases remain under investigation by Homeland Security Investigations special agents. 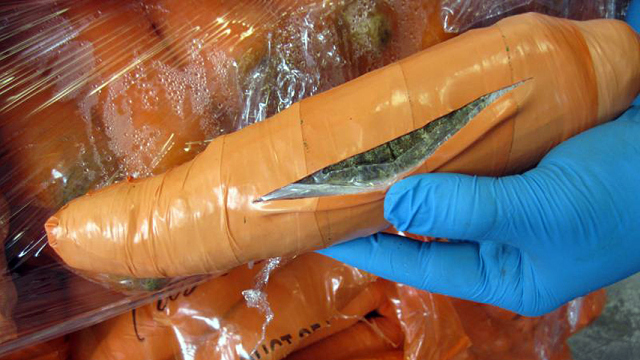 • Last year, customs officials in Texas seized a ton of marijuana disguised as carrots. 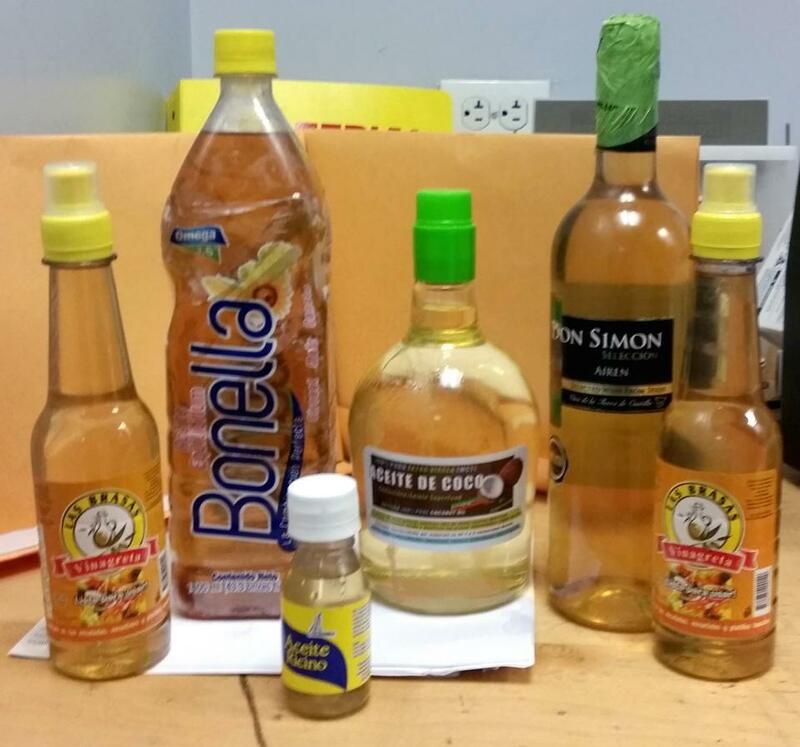 • In 2015, officials accused a traveler of smuggling 11 pounds of liquid cocaine in olive oil and vinegar bottles. • Back in 2014, officials busted a traveler with $50,000 worth of cocaine cookies at Newark Liberty International Airport.